Outsourcing: The act of contracting a business process to another party. It could be anything from accounting, to finance, to information technology. If implemented correctly, it could be a very successful strategy that is effective and cost saving. In 2013 more than two and a half million U.S. jobs were outsourced to other destinations including China, India, Asia and more. Here we provide you with the top six reasons to outsource your business processes to another party. 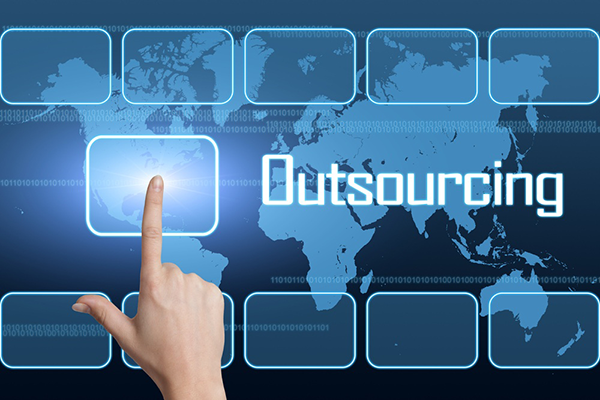 Cutting down costs is one of the primary reasons companies choose to outsource. As when moving certain operations to another party could decrease the operational costs, as well as the labor costs. These lower costs can be attributed to many factors. For example if the job is outsourced to a different geographical area, then wages would differ, hence resulting in a lower cost. Outsourcing some business processes, gives you the ability to focus on other aspects of your business. This would result in an increase in quality, effectiveness and efficiency for the company, all while saving up money and delegating the mundane tasks to somebody else to take care of. Outsourcing jobs to other geographic areas, presents you with the opportunity of taking advantage of resources that otherwise would not have been at reach. For example the global pool of talent would be available for you to choose from instead of just having access to people who are close to you. By taking the point of service generation or production closer to the end users you want to infiltrate, you give your company an edge when entering new markets. For instance cultural barriers would be lessened as the human resources working for the company are almost always from the geographic area where the production takes place. This would ease up the communications with the end customers hence decreasing the risk of entering new markets. With the uncertainity that encompasses many aspects of the global economy nowadays, companies are looking for ways to be flexible. The may need to expand or downsize quickly and efficiently. With outsourcing, this can be easily achieved. Why waste time and valuable resources hiring and training new employees in-house when you can get the same or better level of service by outsourcing the job to somebody else, and for less money? Many big corporations are outsourcing tasks to other parties so they can focus on their own processes such as Microsoft, Intel, Cisco and more. Make sure to visit our services from the menu above to check out all the services that ASAL Technologies can provide you with when it comes to Business Process Outsourcing, and Information Technology Outsourcing.